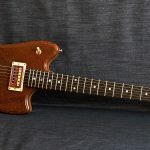 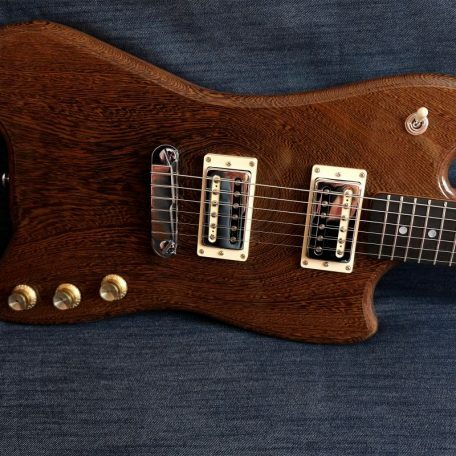 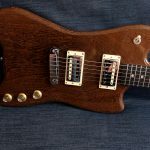 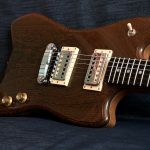 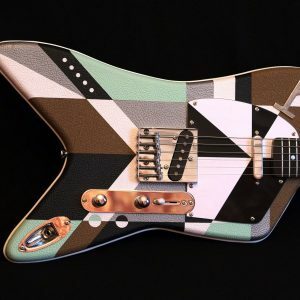 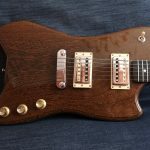 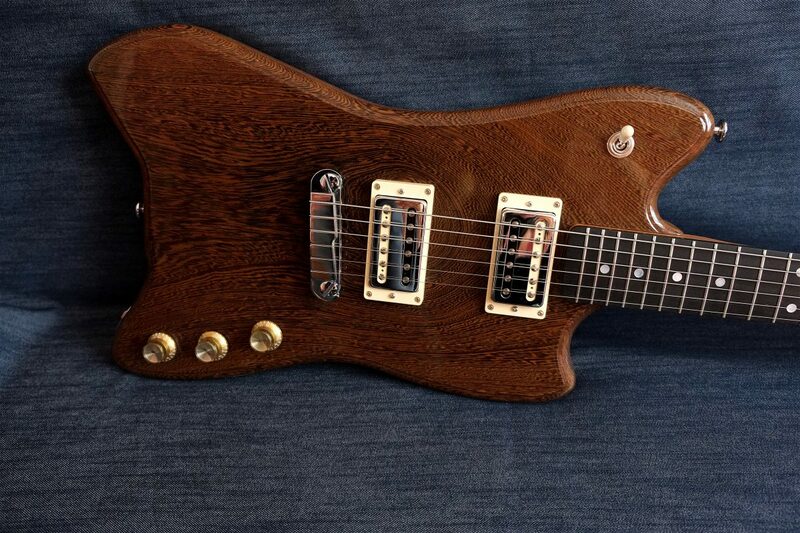 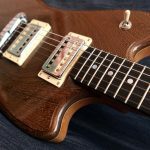 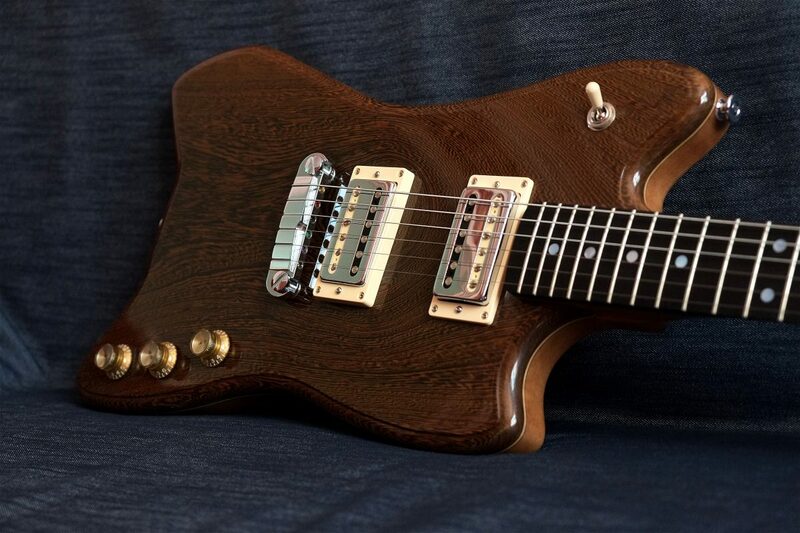 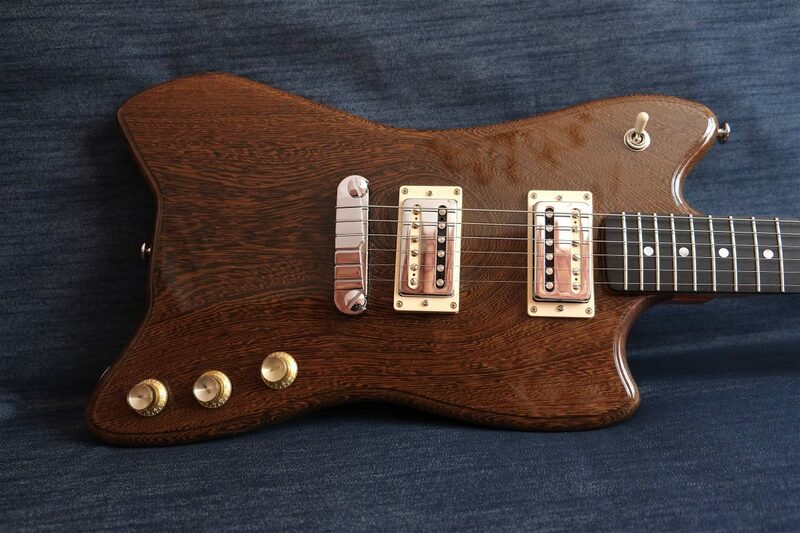 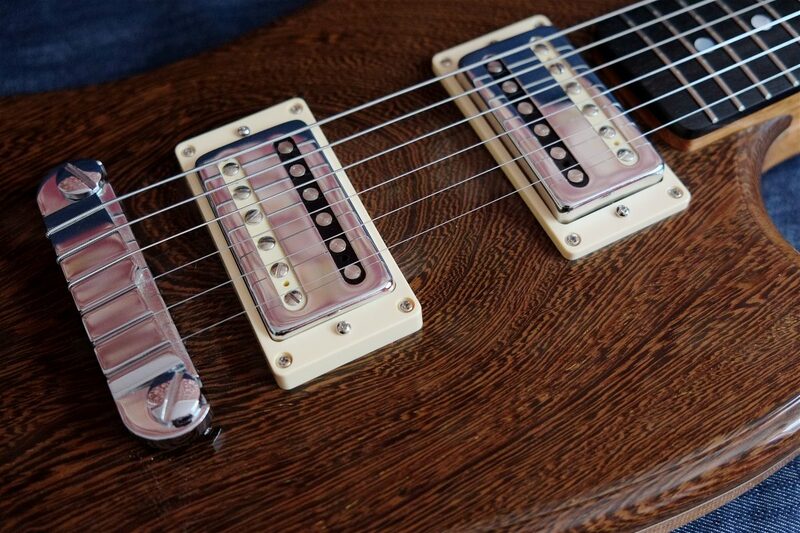 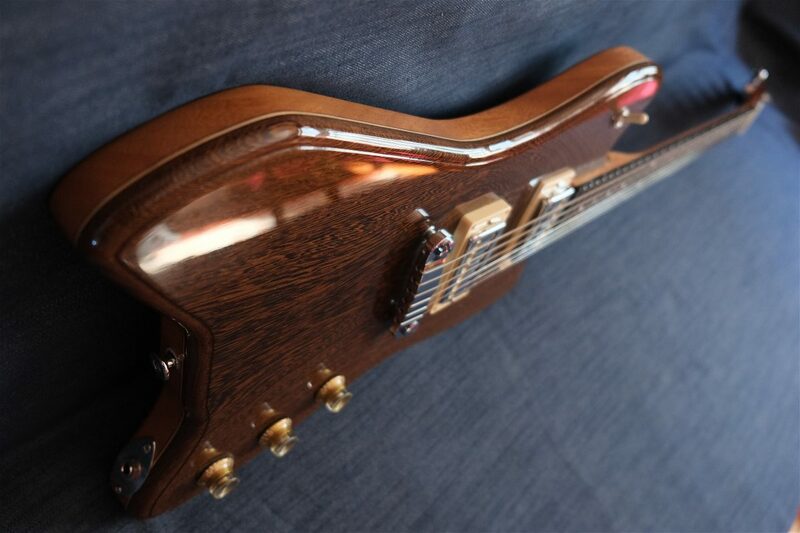 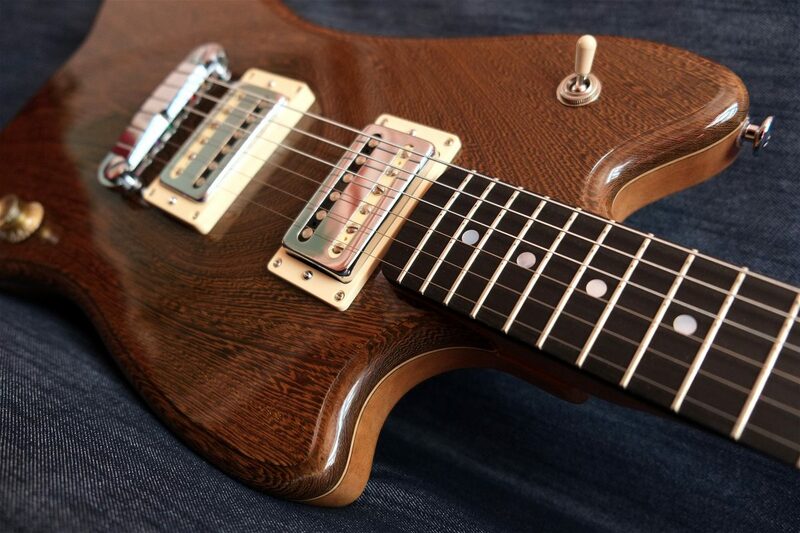 The Wenge Fabillac is a chambered solid body guitar. 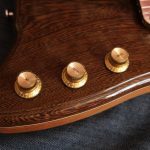 The body is made of Khaya mahogany with a one piece aged wenge top that was cut from a slab my stepfather bought in the 1960’s. 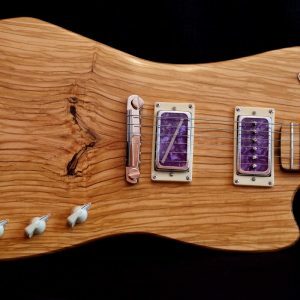 It’s hard to capture in a photo just how gorgeous this piece of wood actually is. 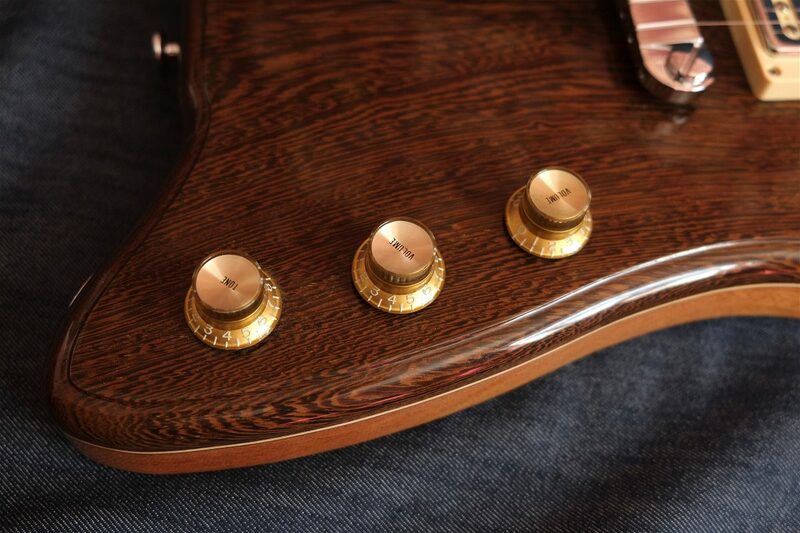 Sandwiched between the mahogany and the wenge are a 2mm thick piece of maple and a rosewood veneer. 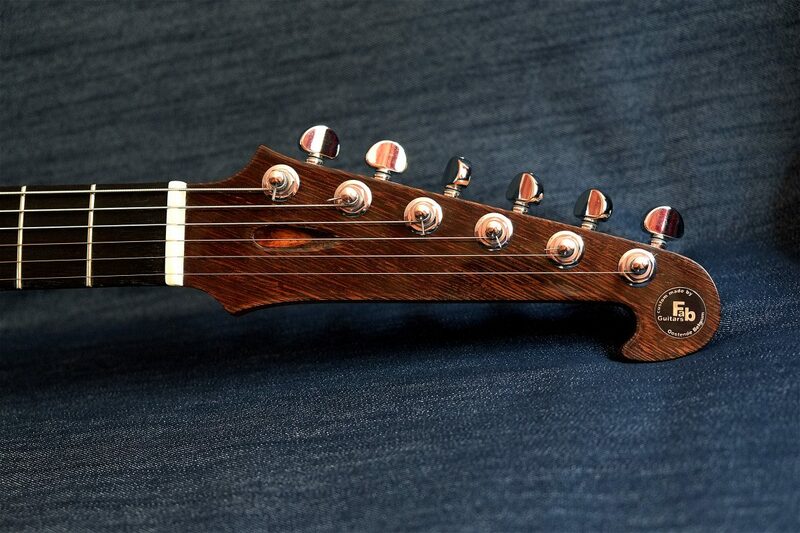 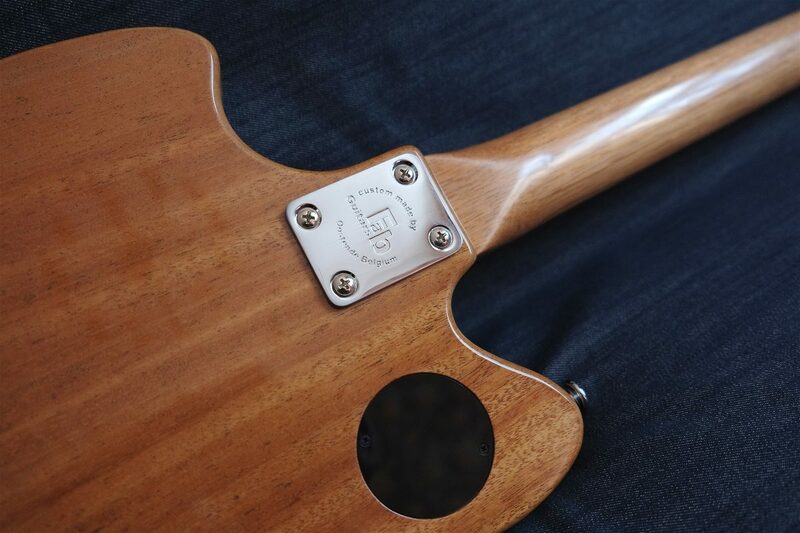 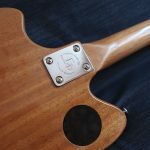 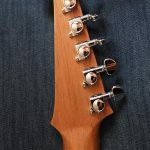 The neck is made from lightweight, quarter sawn Spanish cedar. 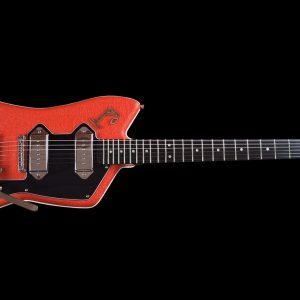 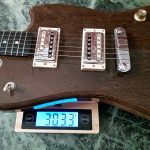 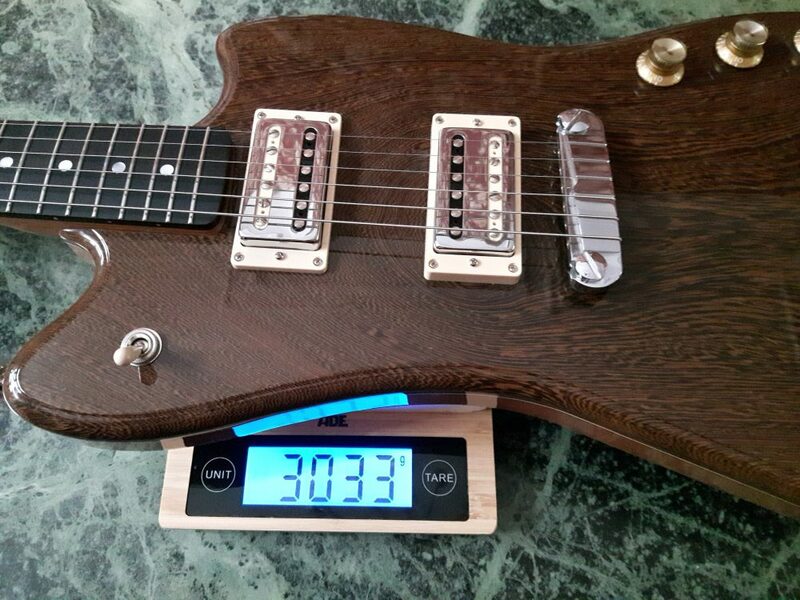 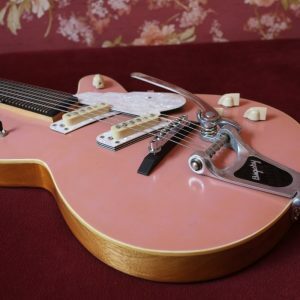 Despite it’s solid look the complete guitar barely weighs over 3000 grams! 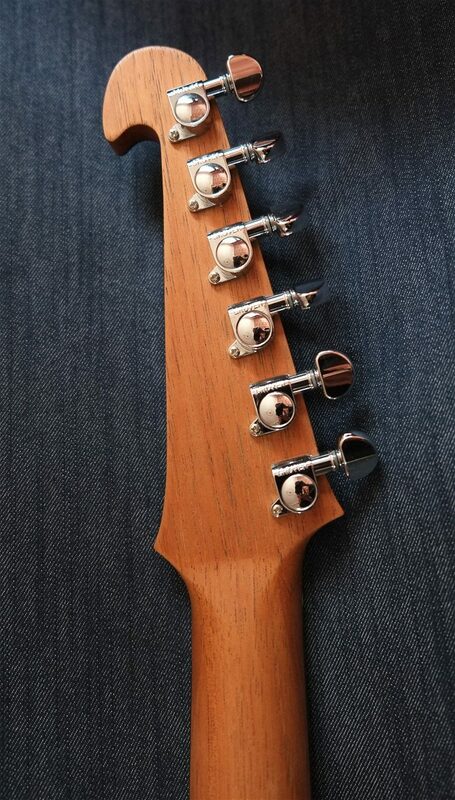 The humbuckers with chrome slit covers are handwound at my workshop on zebra bobbins. 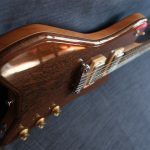 The specs are close to 1950’s PAF’s, with just enough winds to give them that clear and transparent singing tone without getting muddy. 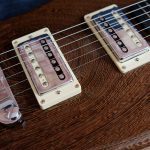 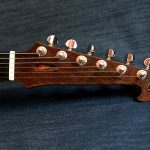 The top notch ebony fingerboard holds 22 frets and together with the ABM warparound bridge, machined out of one solid piece of aluminum, the sustain really stands out on this one.